I don’t know why I never made homemade balsamic dressing until this year. It is seriously so much better than store bought, and cheaper too! I think I was deceptively hooked on the convenience of bottled dressings, wondering, “Why would you waste time making a dressing when there are so many options at the store?” But, I’m learning that homemade dressings typically only take about 10 minutes to prepare, are much fresher and save money – wins across the board! 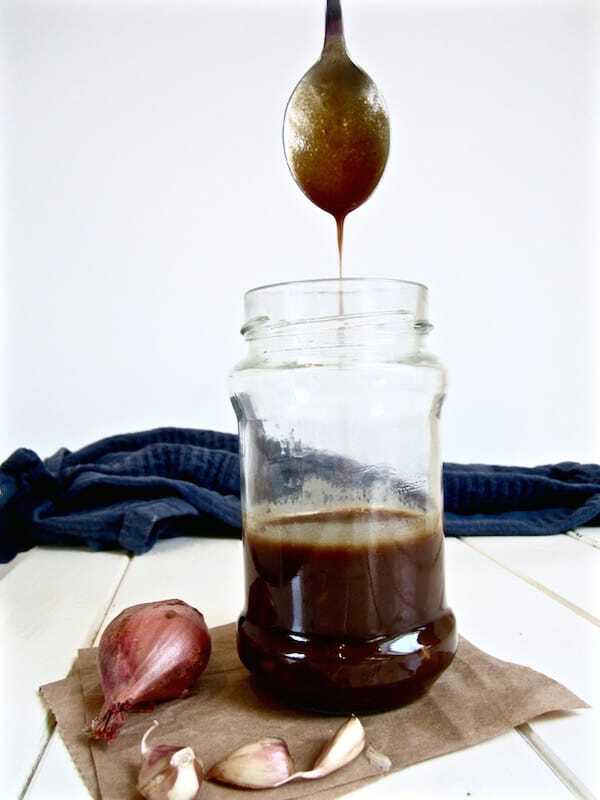 This balsamic is tangy, addicting and refined sugar free. It’s the perfect topper to my Smoky Summer Salad with Coconut Bacon, though I don’t just use it on salads; I drizzle this stuff on tofu, rice bowls and veggies. When making balsamic dressing, the standard ratio of oil to vinegar is 3:1. If you like your dressing a little richer, add more oil. If you like it more tart, add more vinegar. You can use this recipe as a foundation and then experiment with adding things like fresh herbs or different vinegars. You’ll need to keep this dressing refrigerated since it uses fresh ingredients (shallots, garlic), and just give it a good shake before using. 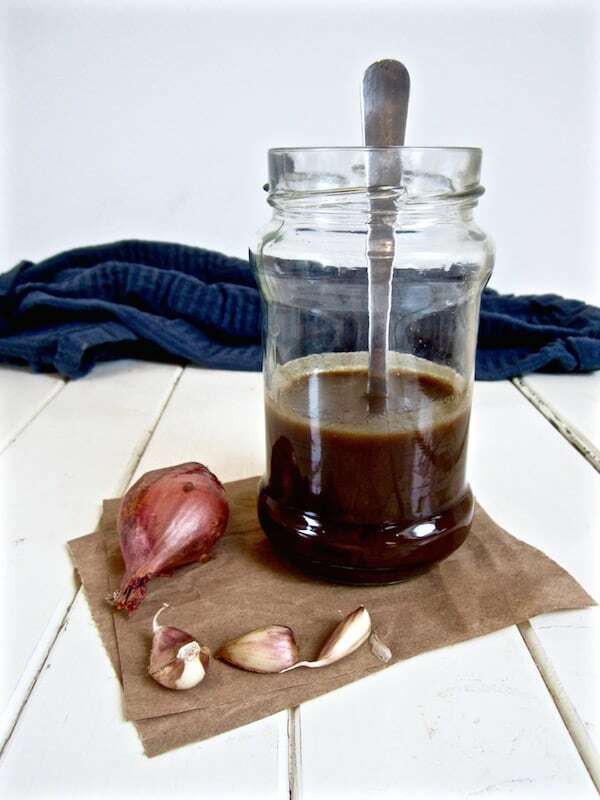 If you want a dressing that doesn’t need refrigeration, you could try using garlic powder instead of fresh garlic, and omitting the shallot, but I haven’t tried this as I think the fresh garlic and shallot are key to the flavor. This classic dressing is better than store bought, easy, fresh & ready in 10 minutes! Refined sugar free. Combine all ingredients and shake well in a jar. For a thicker, more emulsified dressing, use an immersion blender (or other blender) to combine. Adjust to taste. If you like your dressing a little richer, add more oil. If you like it more tart, add more vinegar. If you like it sweeter, add more date syrup. What do you think of this recipe? What dressings do you like to make at home? What dressings do you currently buy that you’d love to make at home if you knew how? Leave a comment below!